At 1100 a.m. AST (1500 UTC), the center of Post-Tropical Cyclone Helene was located near latitude 43.8 north, longitude 25.7 west. The post-tropical cyclone is moving toward the northeast near 29 mph (46 km/h), and this motion is expected to continue with an increase in forward speed during the next 24 hours. 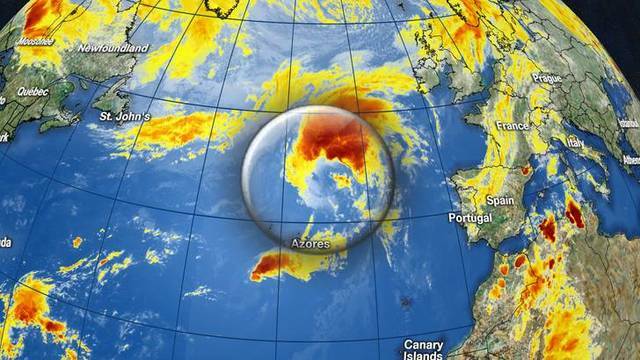 On the forecast track, the post-tropical cyclone will approach ireland and the united kingdom on Monday. Maximum sustained winds are near 50 mph (85 km/h) with higher gusts. Some slight strengthening is possible today. Some weakening is expected by Monday, and the system is forecast to be absorbed by another low pressure area by early Tuesday. 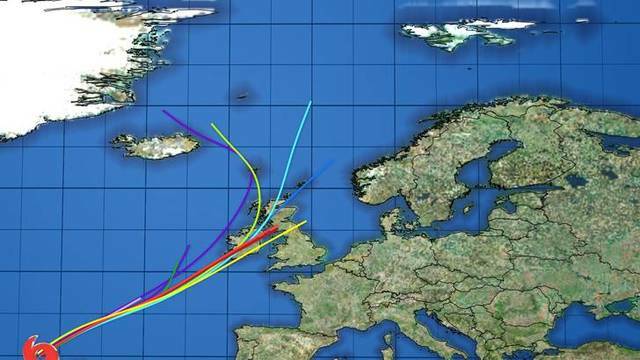 Interests in ireland and the united kingdom should consult products from their local meteorological service for information about potential impacts from post-tropical Helene in those locations. Local forecasts and warnings for the uk can be found on the website of the uk met office at https://www.metoffice.gov.uk/. Local forecasts and warnings for ireland can be found on the website of met eireann at https://www.met.ie/. Information on rainfall and wind forecasts for ireland can be found in products issued by met eireann at www.met.ie and for the united kingdom in products issued by the united kingdom met office at www.metoffice.gov/uk. 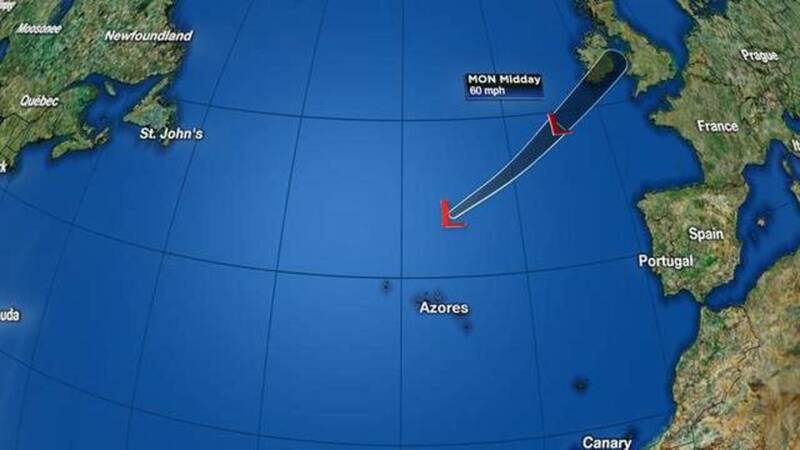 Surf: swells generated by Helene are affecting portions of the Azores. These swells are likely to continue for another day or so and could cause life-threatening surf and rip current conditions. Please consult products from your local weather office.